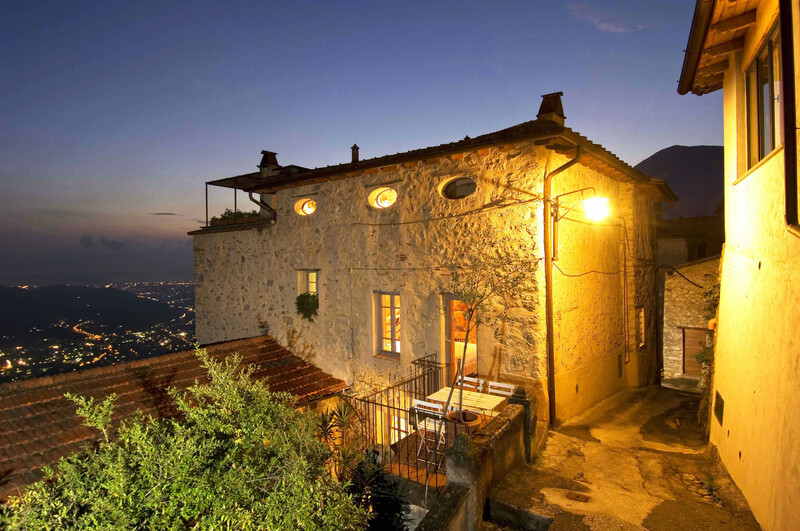 This former mountain house nestles in the unspoilt hinterland of Lucca. 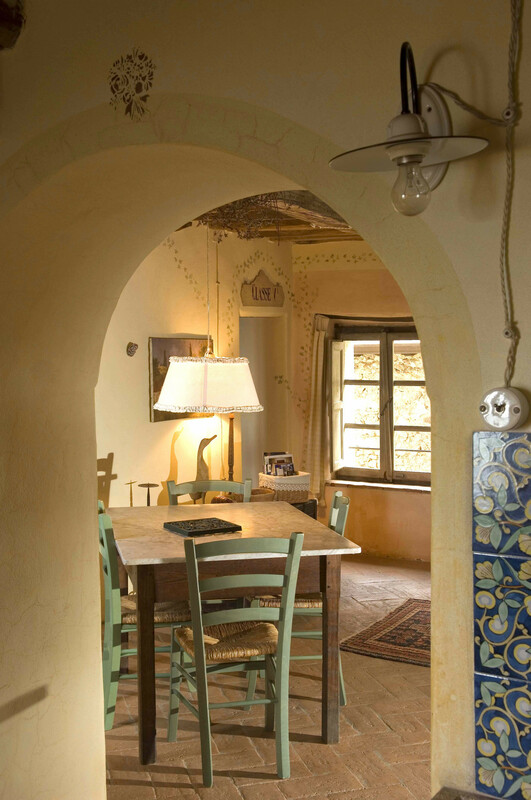 Its owner, an architect, has rebuilt it in loving and original style as a welcoming refuge with three apartments. 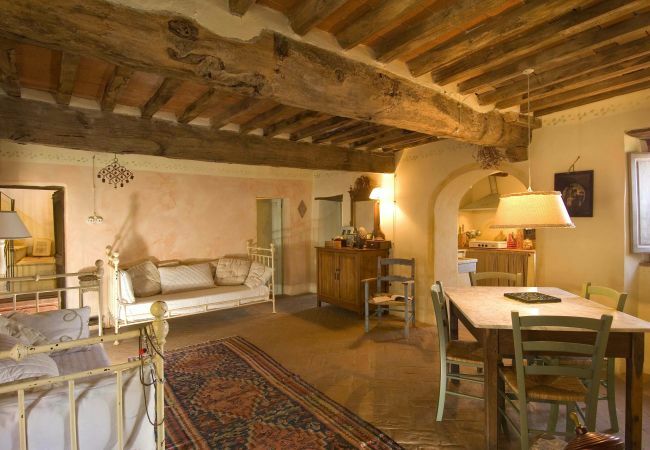 Inside and out, it radiates a serene air of rustic freshness. 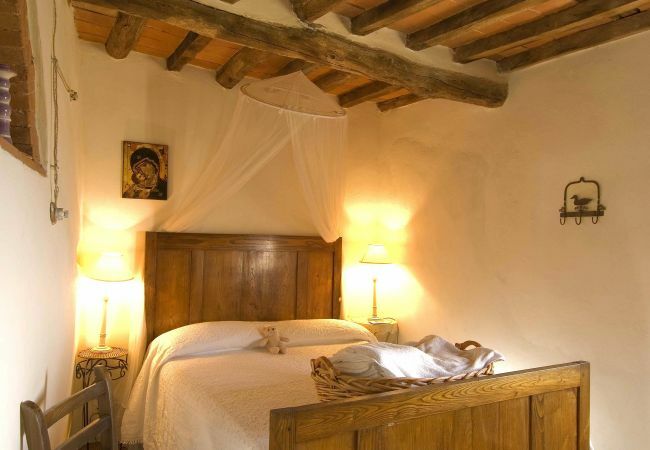 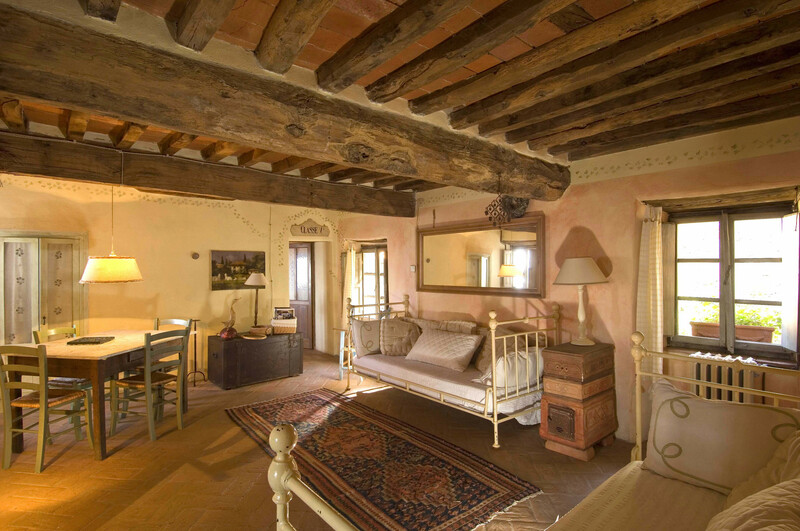 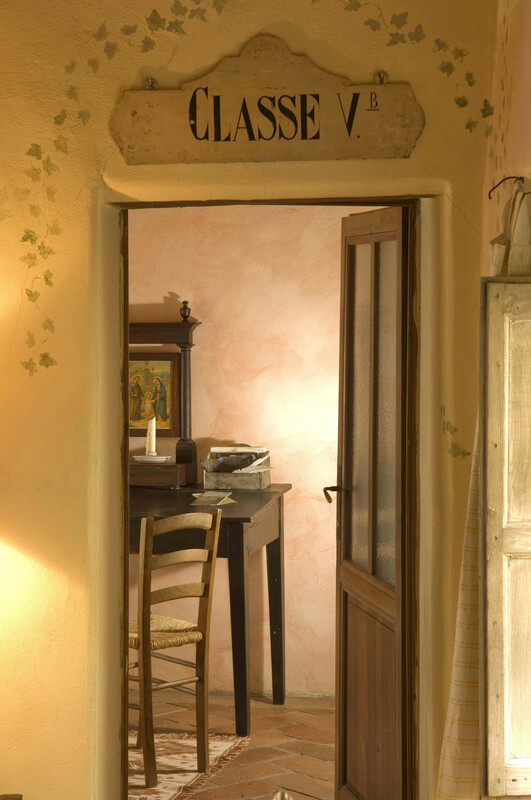 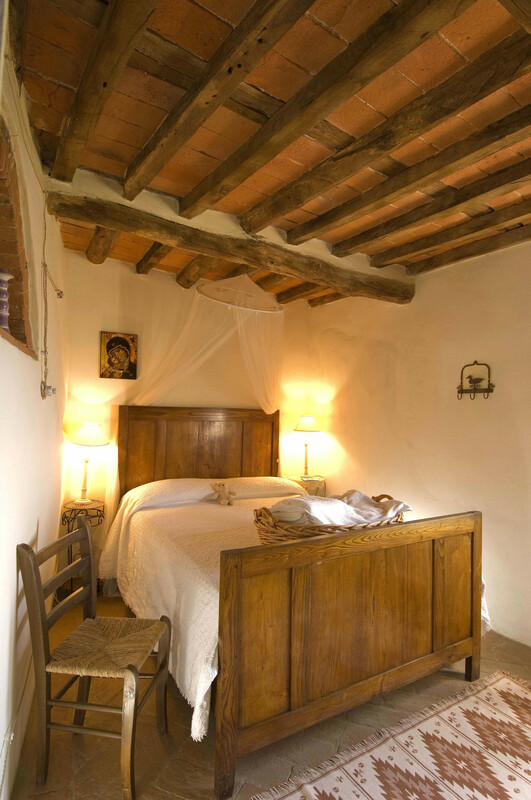 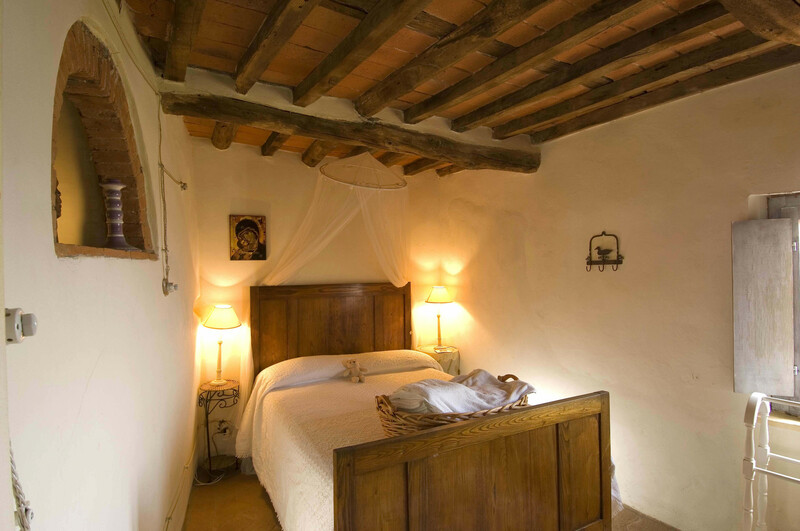 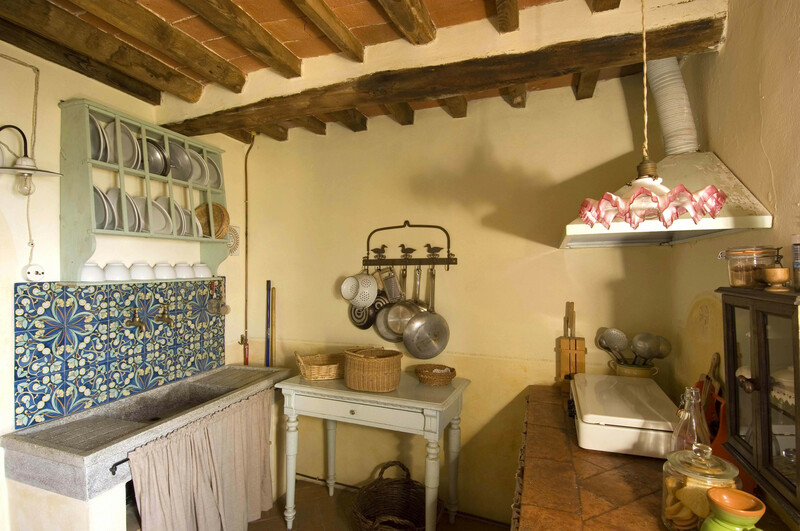 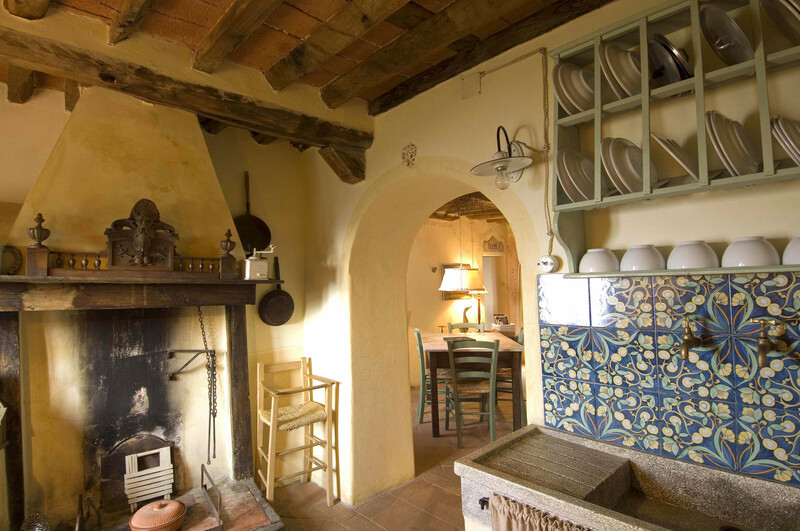 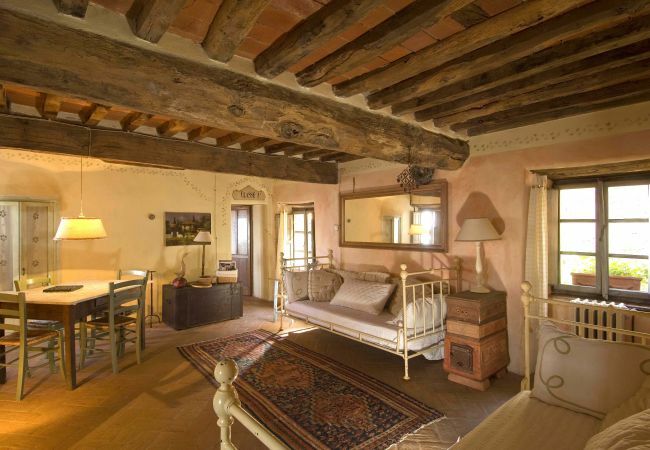 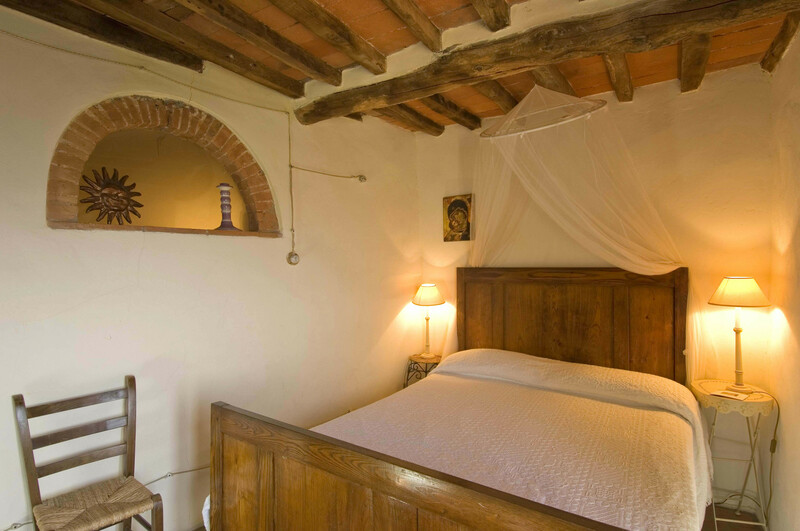 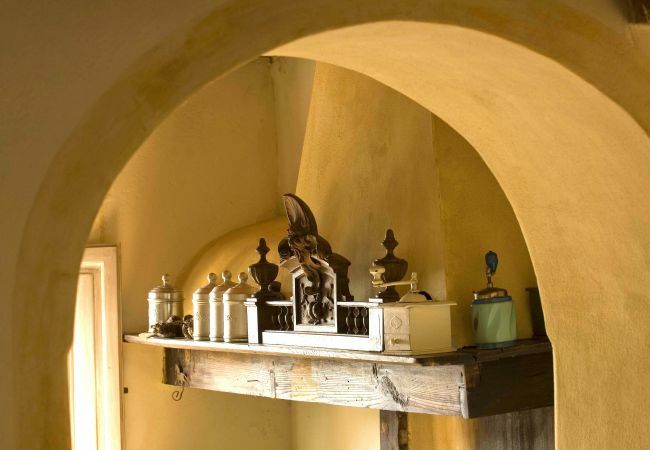 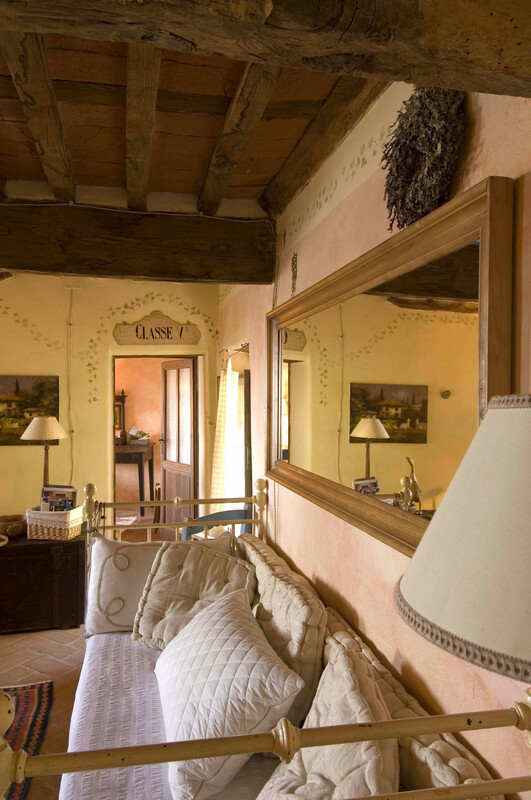 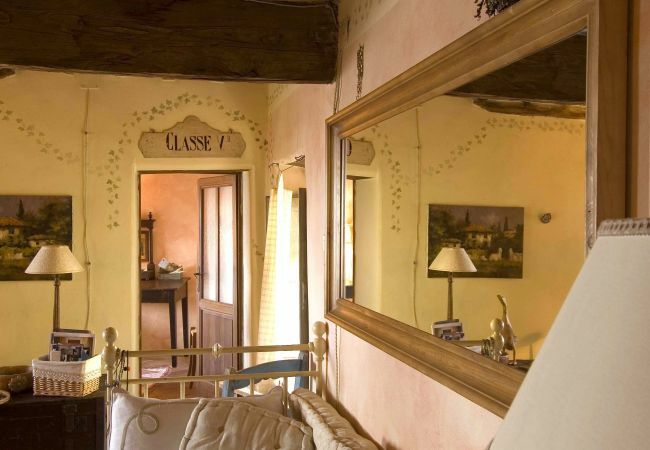 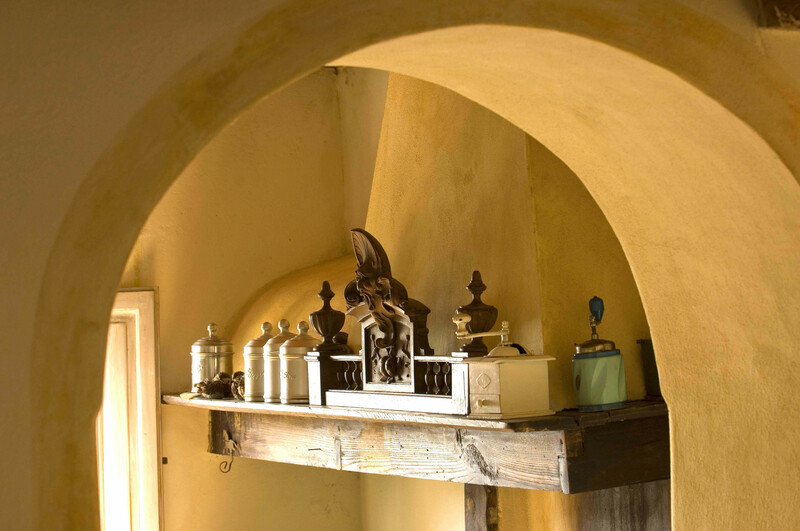 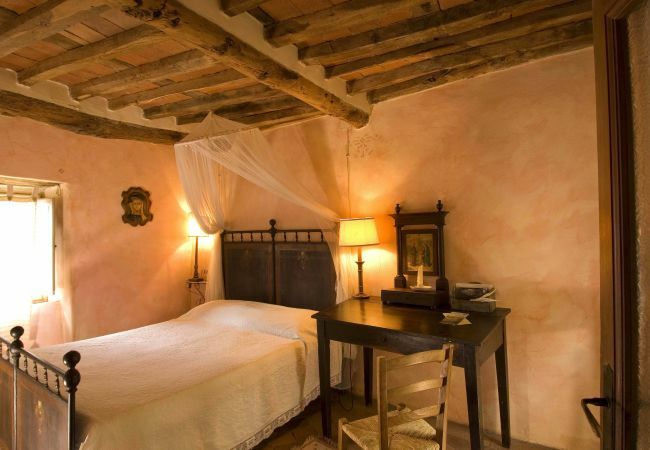 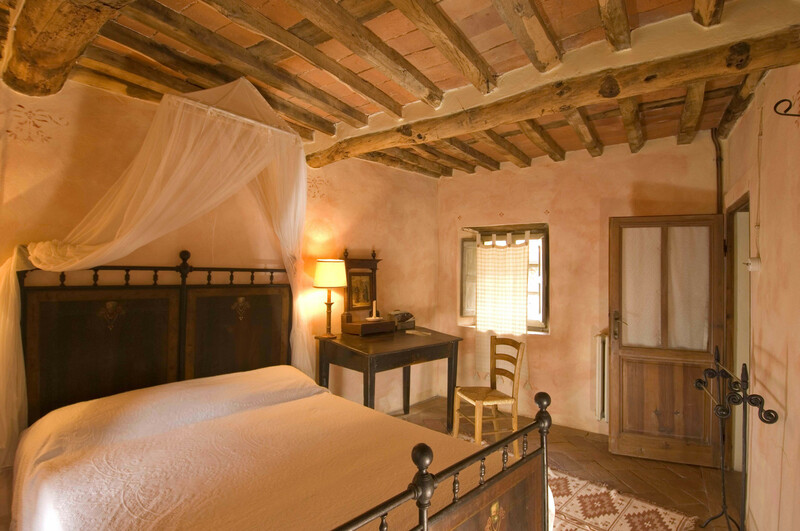 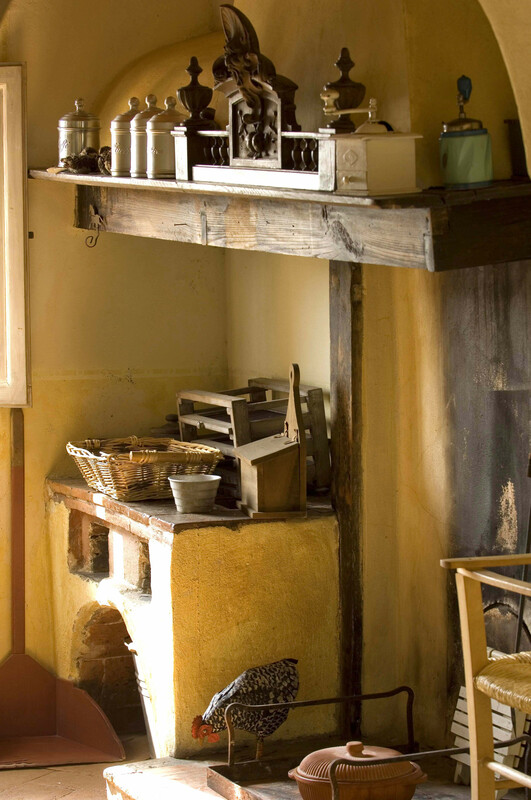 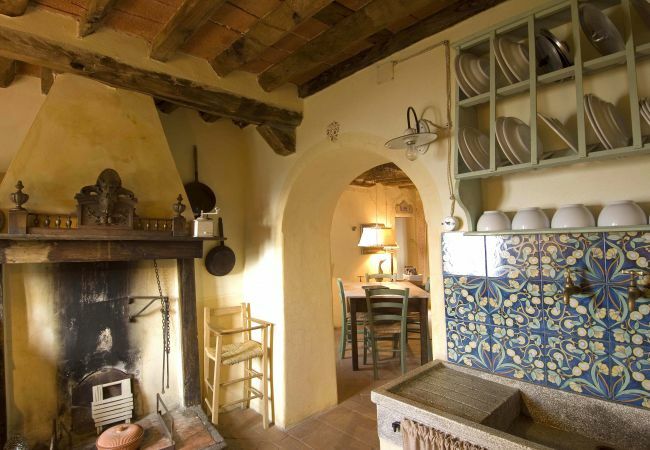 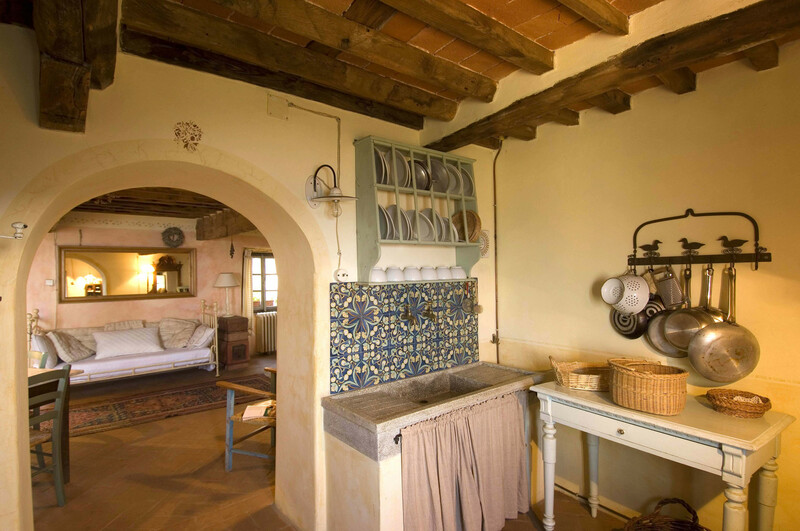 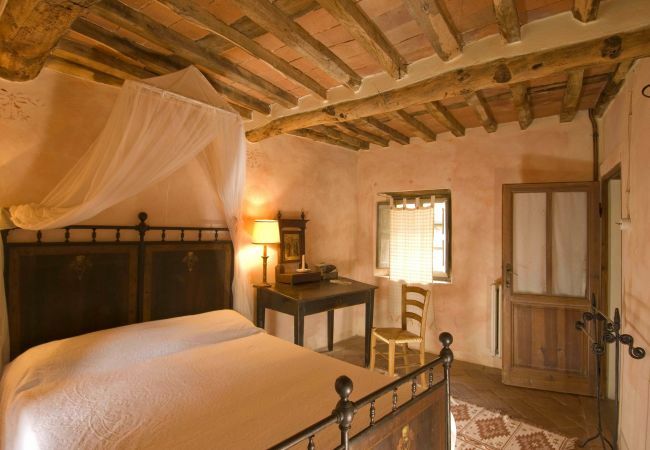 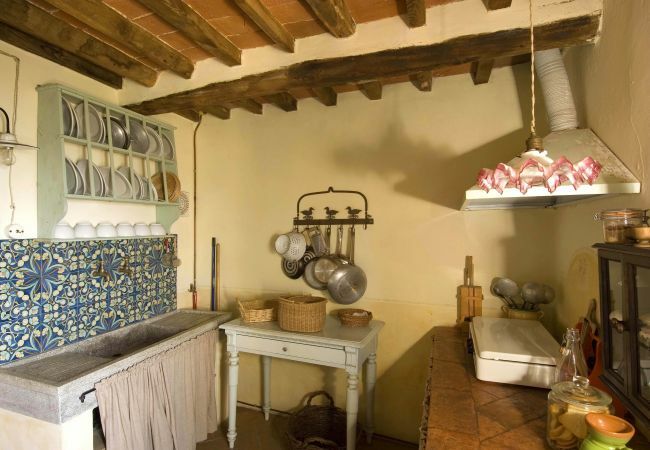 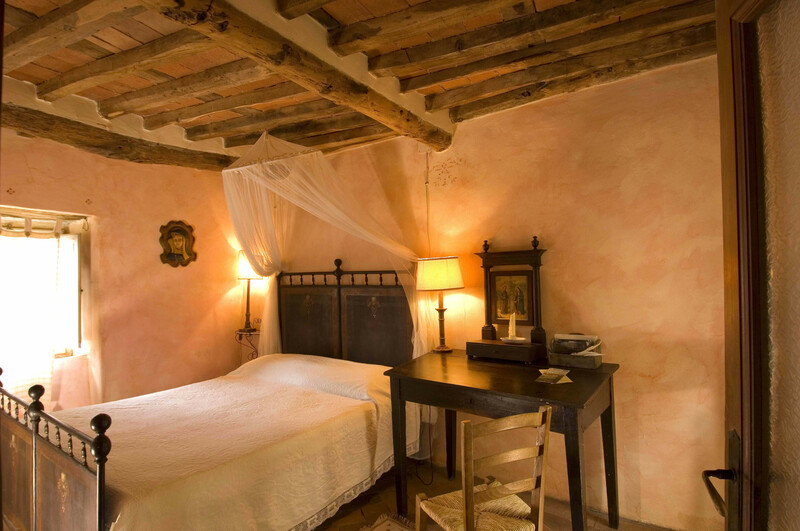 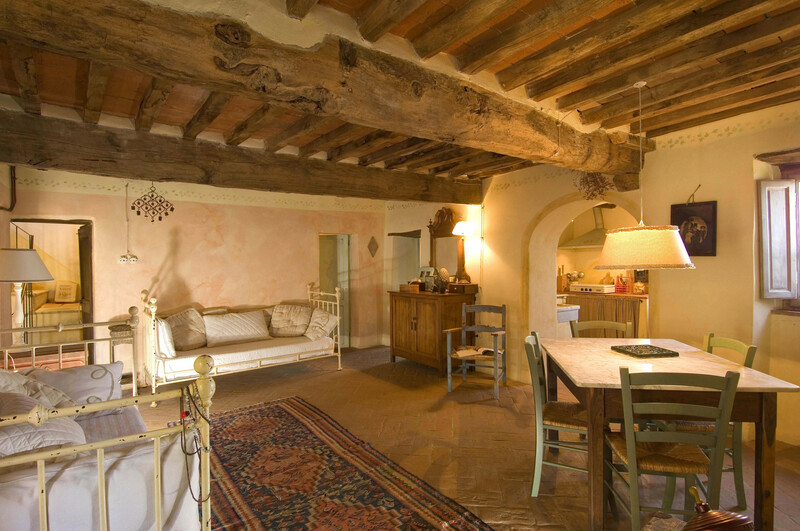 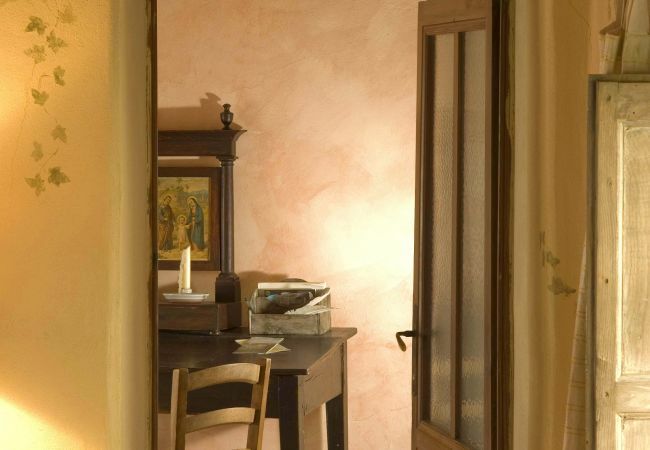 Pale ceiling beams, wooden and earthy terracotta floors, freshly whitewashed walls and a bright interior are features of the house's rural Tuscan style. 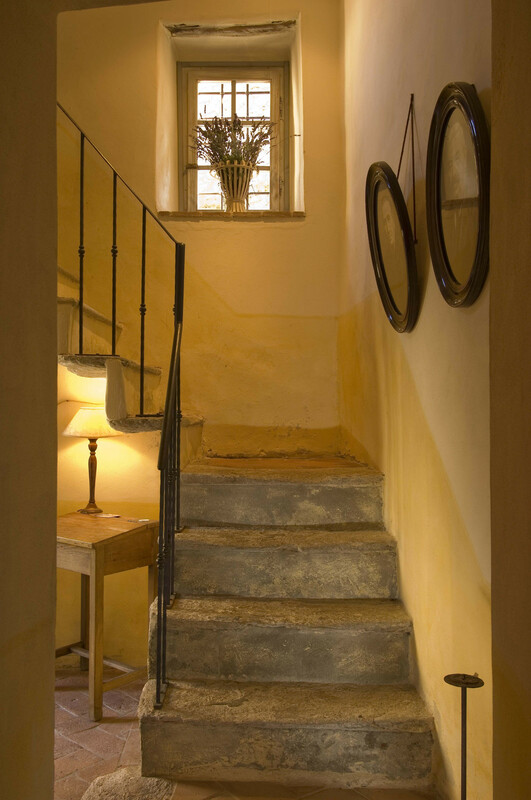 The cosy living areas of all three apartments are decorated in classic colour schemes with antique fireplaces and rose decor to complete the cosy atmosphere. 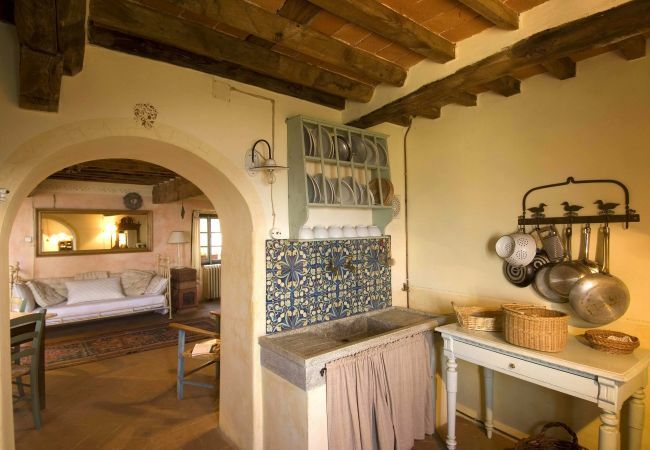 Here and there, antique rural artefacts add a tasteful note to the design. 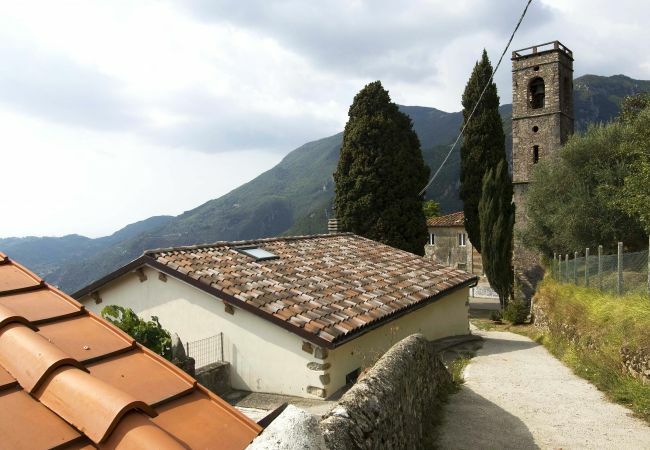 The more adventurous can discover the surroundings on various excursions (Lucca, Pisa, Livorno, Massa) or the sleepy, still lesser-known environs of Garfagnana. 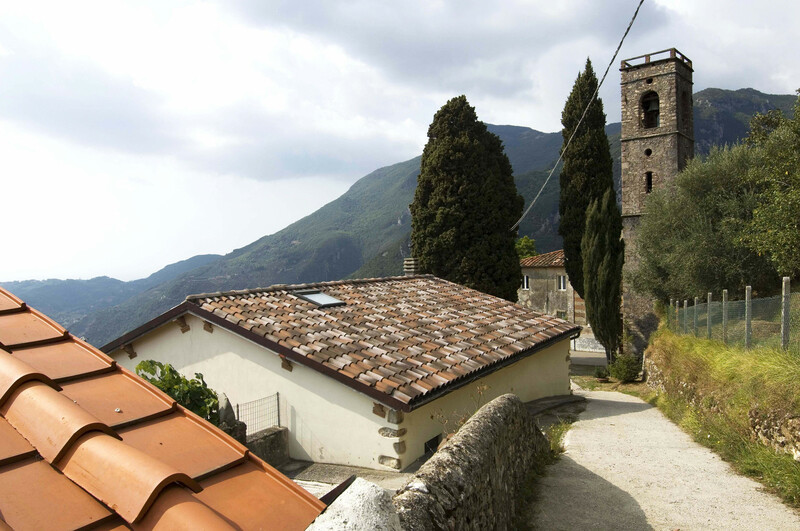 This untouched mountain village is the perfect starting point for reaching the Italian Riviera (and Viareggio) with its rare art nouveau architecture just a few miles away, and also Forte dei Marmi, Pietrasanta and Carrara " all famous for their white marble. 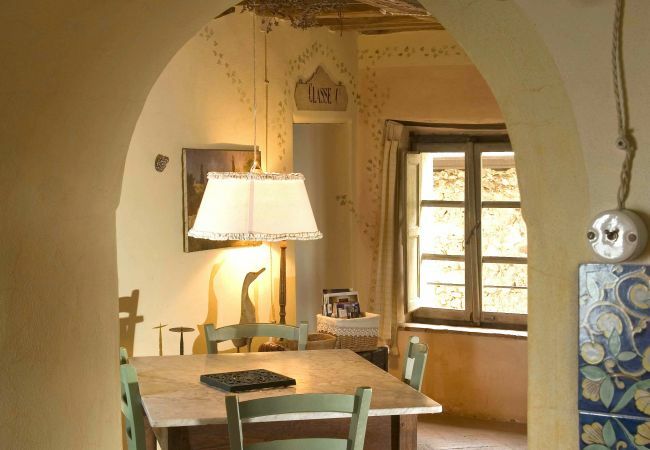 1st F.: living room with single sofa bed, kitchen with fireplace, 2 double bedrooms, 1 bathroom with shower. 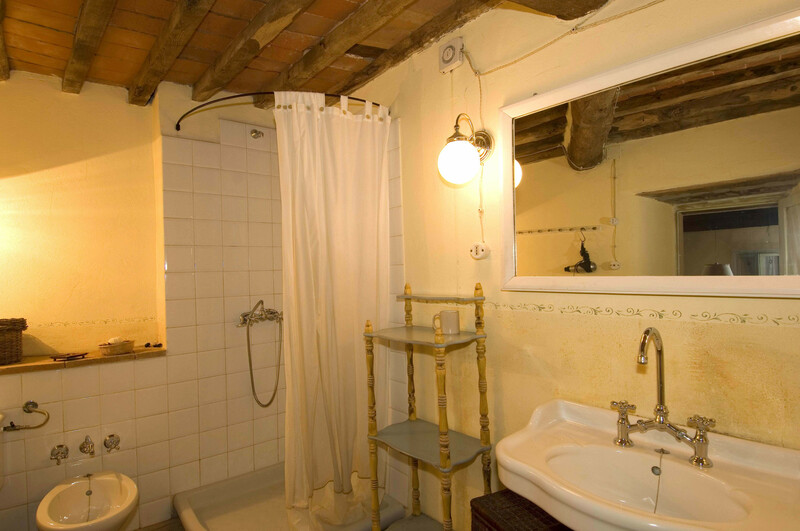 Services included: bed linen and towels, water, gas and electricity consumption. 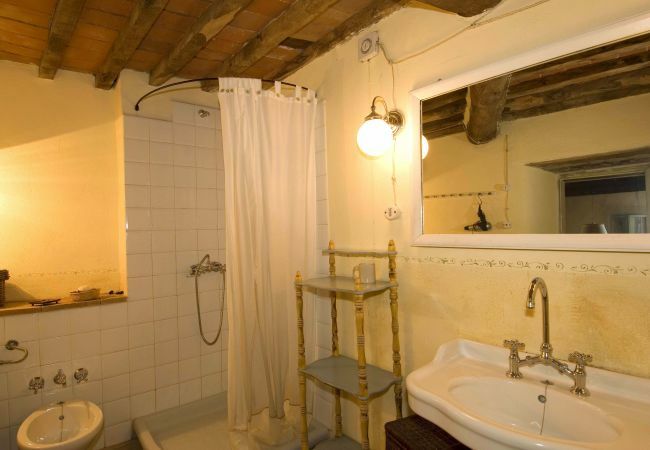 Extra services (to pay on the spot): safety deposit euro 300 in cash, heating, final cleaning euro 100. 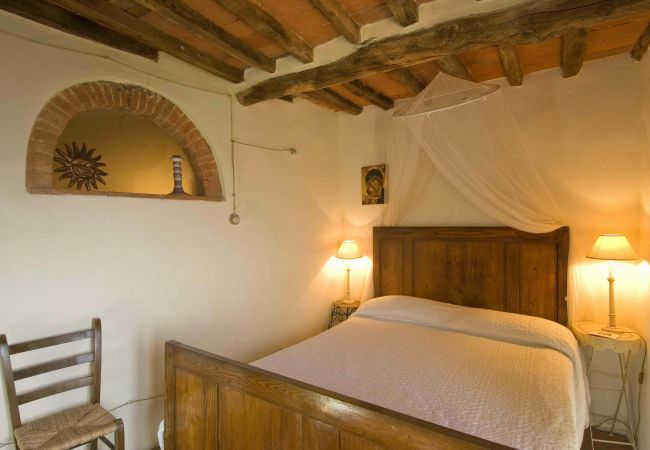 - 2 Camas matrimonio, 1 Sofá cama individual. 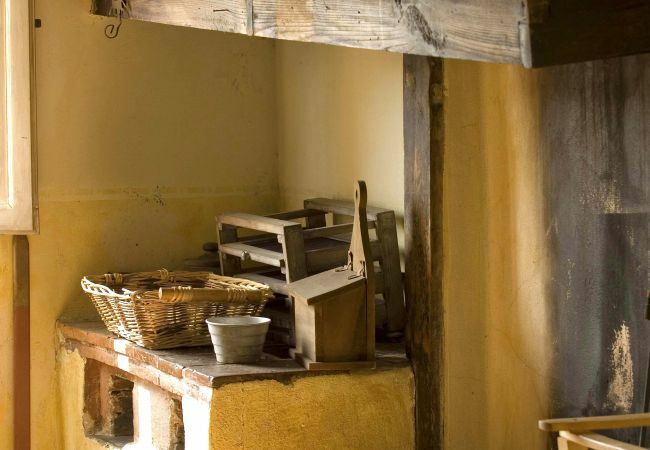 - Nevera, Horno, Vajilla/Cubertería, Utensilios/Cocina, Cafetera y Tostadora. 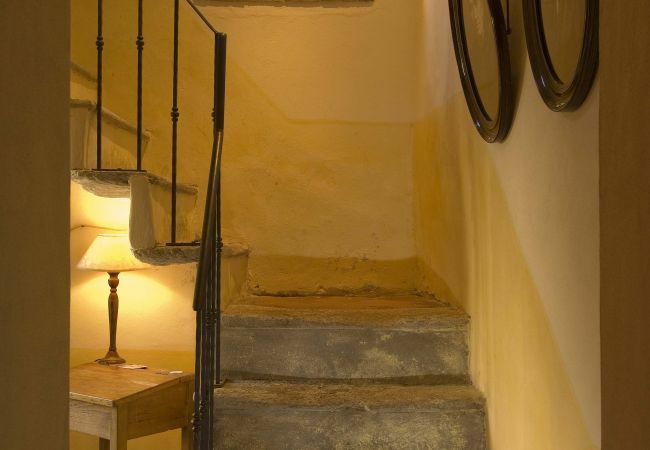 - 1 Televisor, Dvd, Planta 1, Barbacoa, Chimenea, Plancha, Acceso Internet (wifi), Secador, 70 m² Vivienda, Admite animales (no se permiten mascotas de raza potencialmente peligrosa), Caldera individual de gas, 2 Aparatos eléctricos anti-mosquitos.